Have you ever wished you could relive the halcyon days of arcade entertainment, when all that really mattered was a high score on a coin-operated pinball game? Or perhaps you weren't born yet? Either way, there is cause for rejoicing now that FarSight Studios has launched The Pinball Arcade in the App Store, thereby propelling their ball into the mobile gaming playing field. 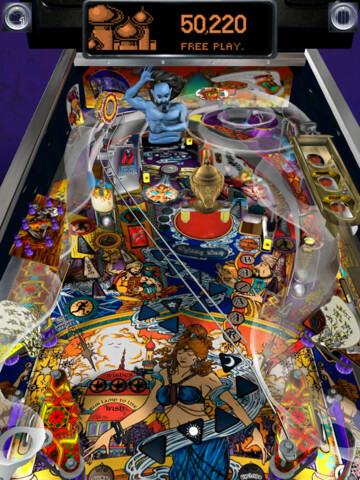 Speaking of wishes, The Pinball Arcade features a pinball table that has a genie and a magic lamp. This table, called Tales of the Arabian Nights, is in fact the table initially unlocked for unlimited play. 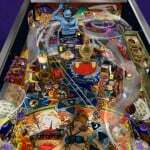 More pinball tables licensed by popular arcade game corporations such as Williams, Bally and Gottlieb are offered as in-app purchases. These include Black Hole, Ripley's Believe It of Not and Theater of Magic. But if you think four tables are just not enough to match your mania for classic pinball, watch out for regular updates that will add a couple of more each month. Since they're based on real tables, it's only fitting that the pinball tables in The Pinball Arcade should look and behave realistically. And as far as I can tell from the 3-D graphics and accurate physics engine, The Pinball Arcade is a solid game. 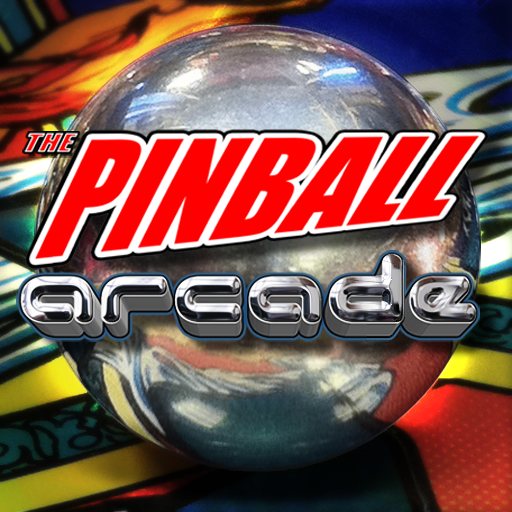 The Pinball Arcade is available now in the App Store as a universal app priced at only $0.99. How's that for a wish granted!